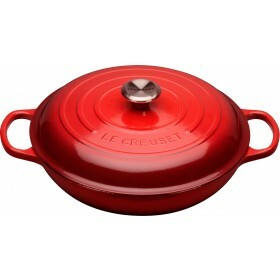 Large, universal splatter guard by Le Creuset. Fine mesh screen to prevent splattering on the stove. 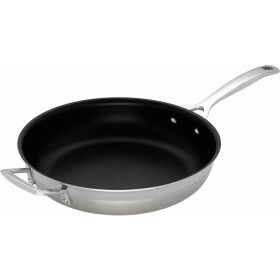 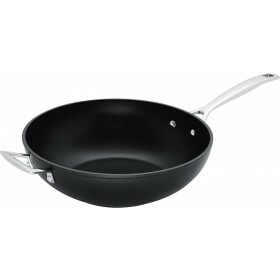 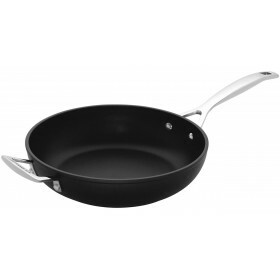 Fits pans with 26cm to 30cm diameter. 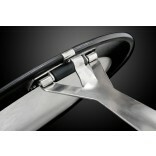 Premium quality stainless steel material. 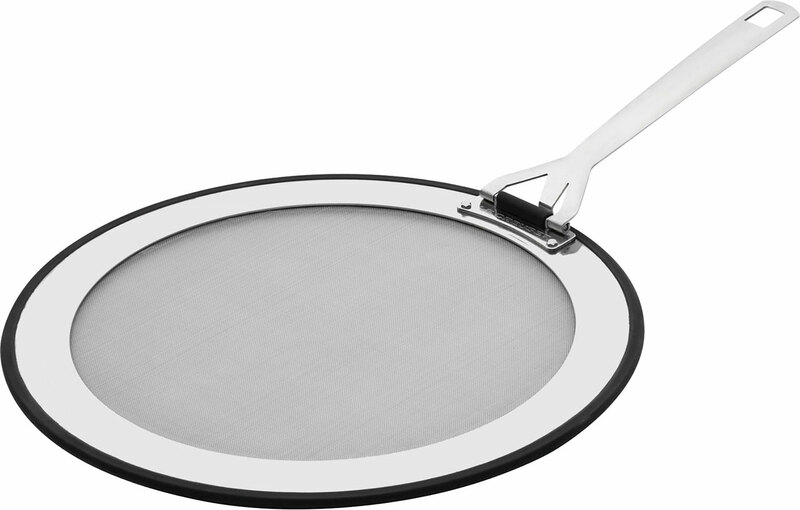 Non-slip, heat-resistant silicone trim protects pan rims. 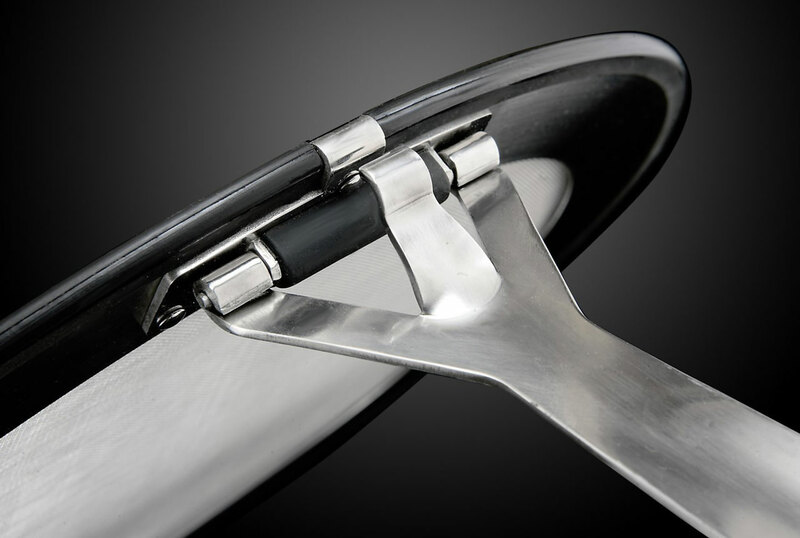 Folding handle for easy storage, clips into place when in use. 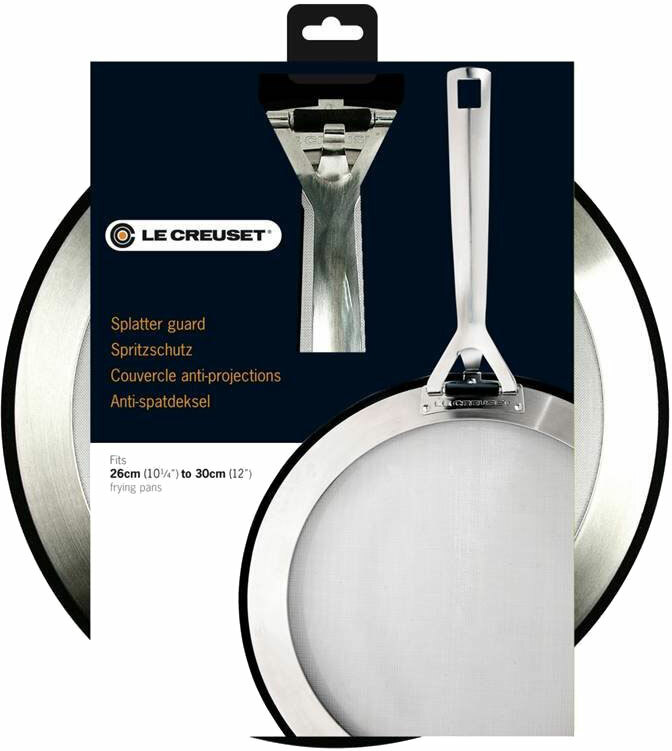 This large stainless steel splatter guard from Le Creuset features a fine mesh surface to prevent unwanted splashes when frying or making a sauce. 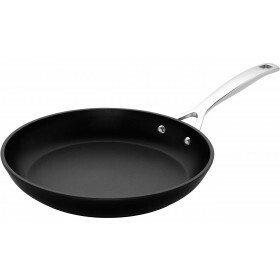 It has a non-slip, heat-resistant silicone trim to protect the top edge of your frying pan and the folding handle, which clips into the open position during use, saves on storage space. 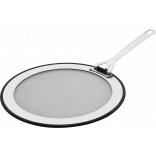 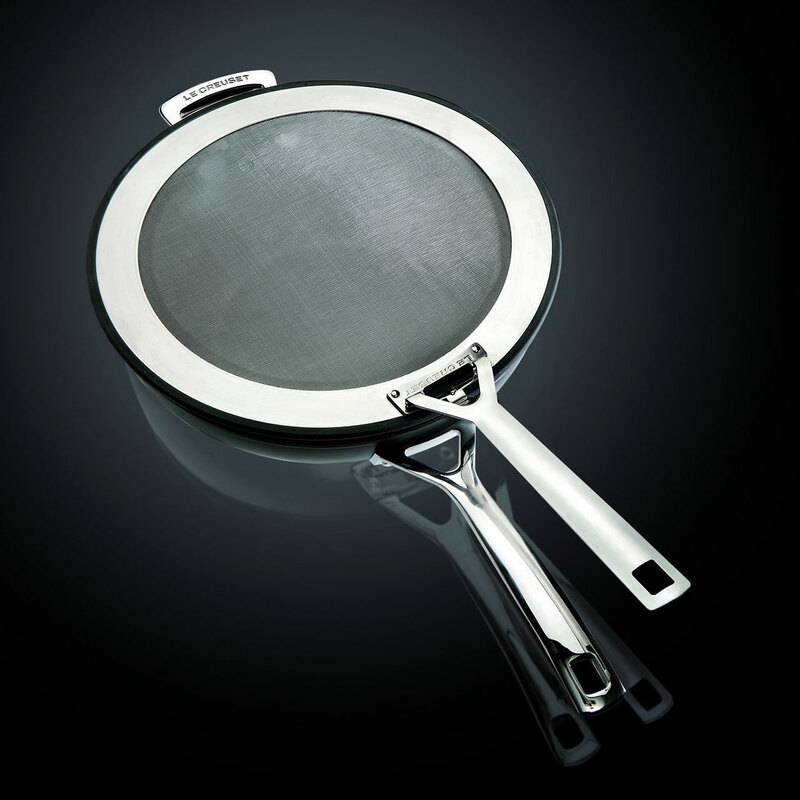 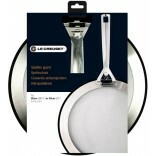 The splatter guard is designed to fit 26cm to 30cm diameter pans.